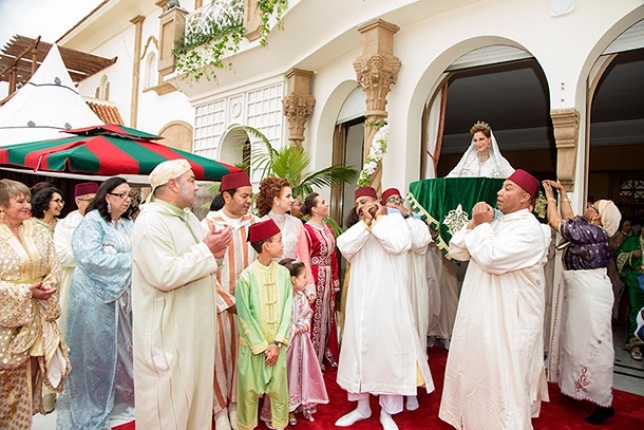 Lalla Soukaïna of Morocco and Mohammed El Mehdi Regragui celebrated their marriage on 28th of May with a traditional evening wedding ceremony at her mother's private residence. Venue: The private residence of Lalla Soukaina's mother. Wedding Menu: The menu was a typical Moroccan festive dinner and included an assortment of Moroccan salads and starters, mechoui, fish with olives and traditional pastries, all accompanied by mint tea, ginger juice and almond milk.